Optical illusions are designed to deliberately mess with our minds. Optical illusions are defined as visual images that differ from reality – the eyes & brain ‘see’ something that doesn’t match the physical measurement of the image. Here are 5 of the best examples of optical illusions. Usually when you look at two images that are physically identical, they look the same. When they are different, they look different. This optical illusion subverts that – so that the two images that are different appear to look the same, and the two pictures that are actually the same, appear to look different. Each year a fancy scientific organisation – the the Neural Correlate Society tries to mess with our minds with a prize for the best optical illusions. This was one of the 2014 winners. Look at the girl in the middle – which way is she spinning? I know, you can’t believe on your eyes after seeing this gif image. This is a bistable illusion where you can see the girl is moving clockwise or counterclockwise at other times. Some people on You Tube claim this depends on whether your right side or left side of the brain is more dominant. But that is rubbish. In fact your brain is just guessing. Our bran doesn’t like ambivalent information so it just takes a guess. Give it mor information and it make a more informed decision. 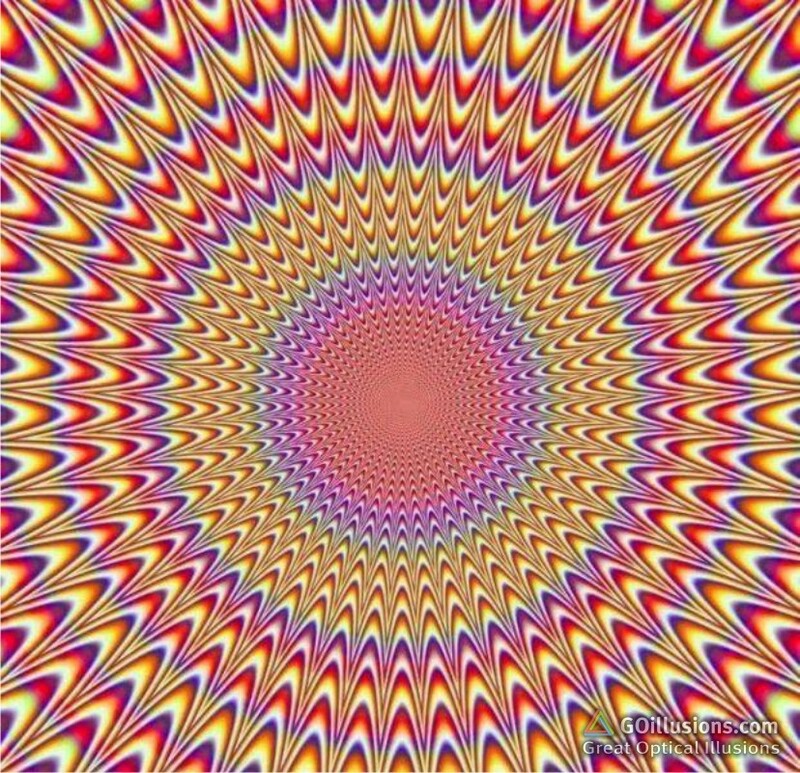 See the left side and middle image; you’ll see it is moving on clockwise order. Now see the right side image and middle image, you’ll see it is moving on counterclockwise. But the fact is that the middle image is exactly the same. Freaky! 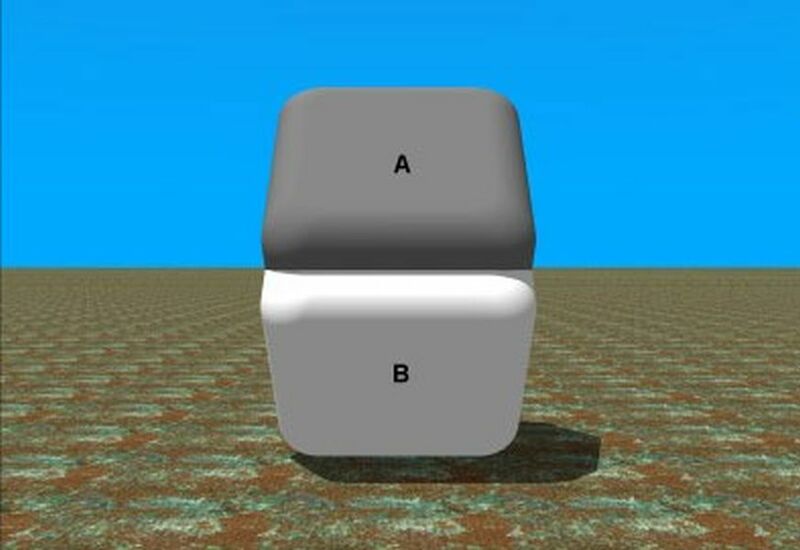 In this image we can see two different objects ”A” and “B”. The surface color of objects “A” & “B” are different colours right? If you think so, then it’s WRONG! Actually both “A” and “B” parts are identical. Still can’t believe it? Just place your finger where both parts meet and you’ll see the magic. This might look like an animated GIF image but it’s not. This isn’t a moving image but so help me God it won’t. Stop Moving. This is perhaps the best optical illusion ever! Still we can’t believe it ourselves. When we take a closer look we can see background color of the squares “A” and “B” have exactly the same. Can’t believe us? Import the image to Photoshop, compare the squares. Both have the same hex color value #787878. UNBELIEVABLE! But True. 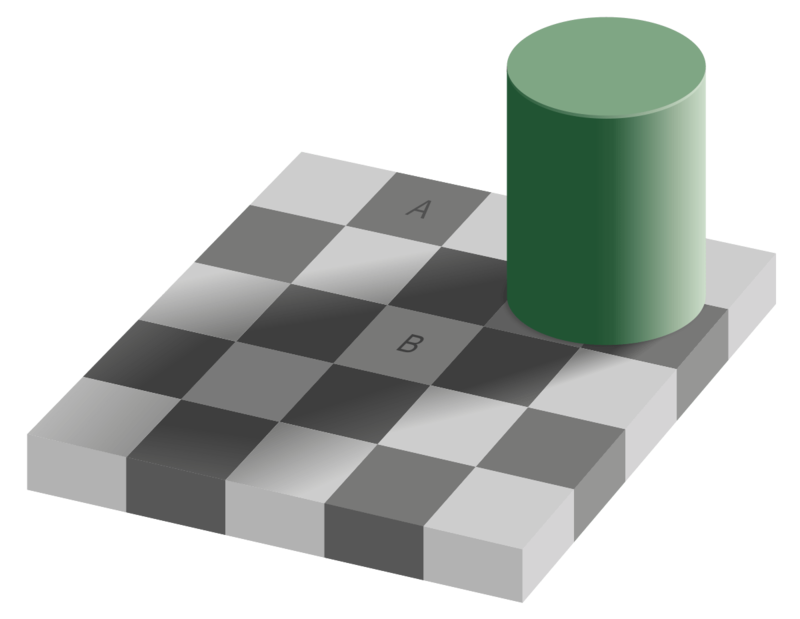 The checker shadow optical illusion was designed by Edward H. Adelson, Professor of Vision Science at MIT in 1995. Optical illusions can work in several ways, they can be images that are different from the objects that make them, and can be ones that come from the effects on the eyes and brain through over stimulation, and others where the eye and brain make senseless inferences.